Snowflake Indicators | Postmodern Research Evaluation | Part 5 of ? No two snowflakes are alike. No two people are the same. Earlier posts in this series attempted to lay out the ways in which Snowball Metrics present as a totalizing grand narrative of research evaluation. Along with attempting to establish a “recipe” that anyone can follow — or that everyone must follow? — in order to evaluate research, this grand narrative appeals to the fact that it is based on a consensus in order to indicate that it is actually fair. The contrast is between ‘us’ deciding on such a recipe ourselves or having such a recipe imposed on ‘us’ from the outside. ‘We’ decided on the Snowball Metrics recipe based on a consultative method. Everything is on the up and up. Something similar seems to be in the works regarding the use of altmetrics. Personally, I have my doubts about the advisability of standardizing altmetrics. — But what’s the alternative to using a consultative method to arrive at agreed upon standards for measuring research impact? I mean, it’s either that, or anarchy, or imposition from outside — right?! We don’t want to have standards imposed on us, and we can’t allow anarchy, so …. Yes, yes, QED. I get it — really, I do. And I don’t have a problem with getting together to talk about things. But must that conversation be methodized? And do we have to reach a consensus? — Without consensus, it’ll be anarchy! I don’t think so. I think there’s another alternative we’re not considering. And no, it’s not imposition of standards on us from the ‘outside’ that I’m advocating, either. I think there’s a fourth alternative. In contrast to Snowball Metrics, Snowflake Indicators are a delicate combination of science and art (as is cooking, for that matter — something that ought not necessarily involve following a recipe, either! Just a hint for some of those chefs in The Scholarly Kitchen, which sometimes has a tendency to resemble America’s Test Kitchen — a show I watch, along with others, but not so I can simply follow the recipes.). Snowflake Indicators also respect individuality. The point is not to mash the snowflakes together — following the 6-step recipe, of course — to form the perfect snowball. Instead, the point is to let the individual researcher appear as such. 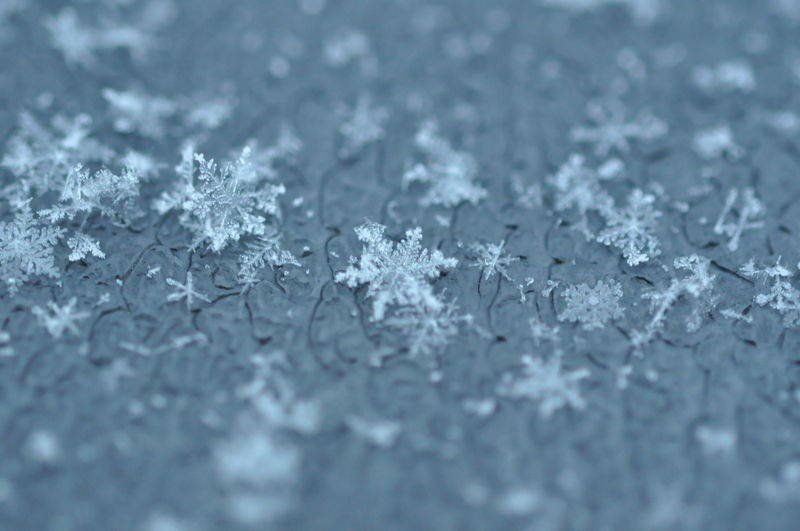 In this sense, Snowflake Indicators provide answers to the question of researcher identity. ORCID gets this point, I think. To say that Snowflake Indicators answer the question of researcher identity is not to suggest that researchers ought to be seen as isolated individuals, however. Who we are is revealed in communication with each other. I really like that Andy Miah’s CV includes a section that lists places in which his work is cited as “an indication of my peer community.” This would count as a Snowflake Indicator. Altmetrics might also do the trick, depending on how they’re used. Personally, I find it useful to see who is paying attention to what I write or say. The sort of information provided by Altmetric.com at the article level is great. It gives some indication of the buzz surrounding an article, and provides another sort of indicator of one’s peer community. That helps an individual researcher learn more about her audience — something that helps communication, and thus helps a researcher establish her identity. Being able to use ImpactStory.org to craft a narrative of one’s impact — and it’s especially useful not to be tied down to a DOI sometimes — is also incredibly revealing. Used by an individual researcher to craft a narrative of her research, altmetrics also count as Snowflake Indicators. So, what distinguishes a Snowflake Indicator from a Snowball Metric? It’s tempting to say that it’s the level of measurement. Snowball Metrics are intended for evaluation at a department or university-wide level, or perhaps even at a higher level of aggregation, rather than for the evaluation of individual researchers. Snowflake Indicators, at least in the way I’ve described them above, seem to be aimed at the level of the individual researcher, or even at individual articles. I think there’s something to that, though I also think it might be possible to aggregate Snowflake Indicators in ways that respect idiosyncrasies but that would still allow for meaningful evaluation (more on that in a future post — but for a hint, contrast this advice on making snowballs, where humor and fun make a real difference, with the 6-step process linked above). But I think that difference in scale misses the really important difference. Where Snowball Metrics aim to make us all comparable, Snowflake Indicators aim to point out the ways in which we are unique — or at least special. Research evaluation, in part, should be about making researchers aware of their own impacts. Research evaluation shouldn’t be punitive, it should be instructive — or at least an opportunity to learn. Research evaluation shouldn’t so much seek to steer research as it should empower researchers to drive their research along the road to impact. Although everyone likes big changes (as long as they’re positive), local impacts should be valued as world-changing, too. Diversity of approaches should also be valued. Any approach to research evaluation that insists we all need to do the same thing is way off track, in my opinion. I apologize to anyone who was expecting a slick account that lays out the recipe for Snowflake Indicators. I’m not trying to establish rules here. Nor am I insisting that anything goes (there are no rules). If anything, I am engaged in rule-seeking — something as difficult to grasp and hold on to as a snowflake. This entry was posted in altmetrics, Impact, Justice, Postmodern Research Evaluation, Scholarly Communication, Science Policy and tagged postmodern research evaluation, Snowball Metrics, Snowflake Indicators. Bookmark the permalink.